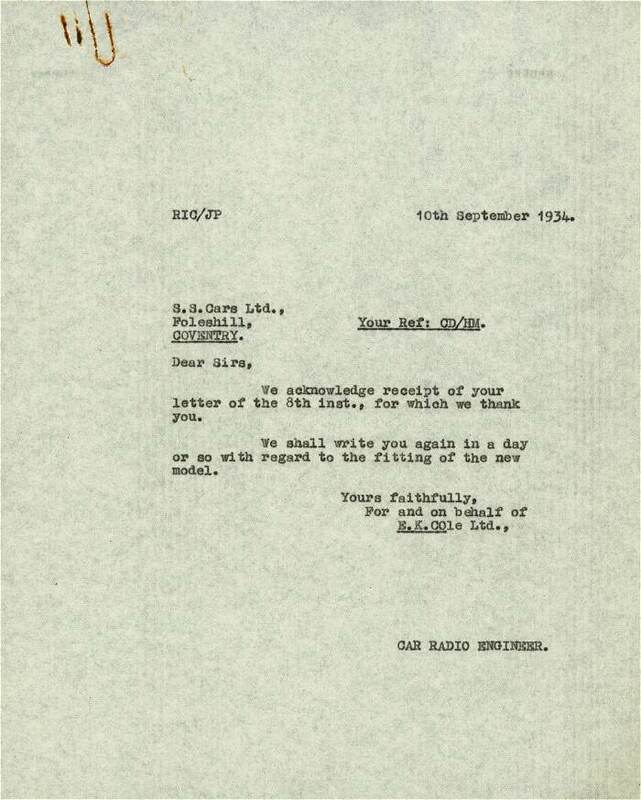 Original letter as received by Ekco confirming that they will fit their latest radio to Mr William Walmsley's car for test. 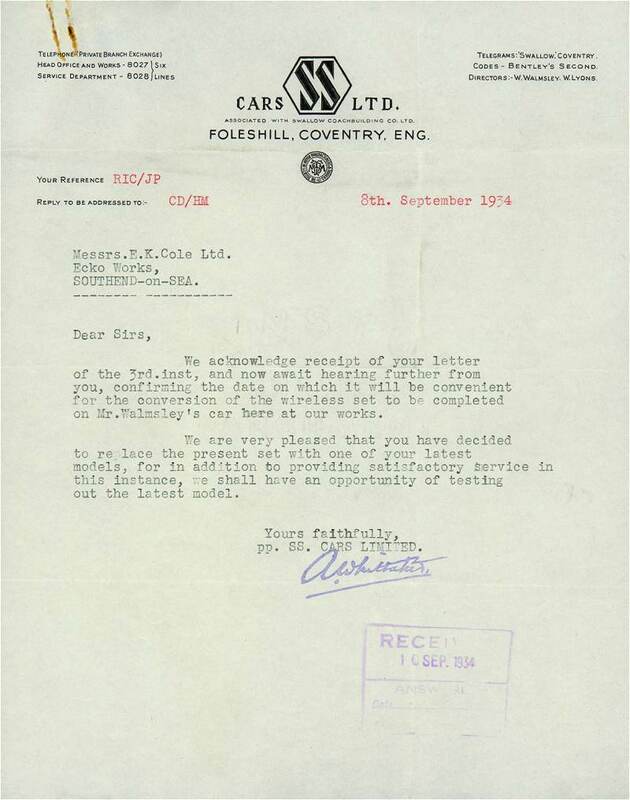 William Walmsley was William Lyon's co-director at the time and a founder company member. 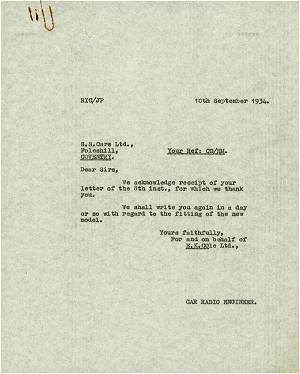 Plus the cc reply acknowledging the letter. 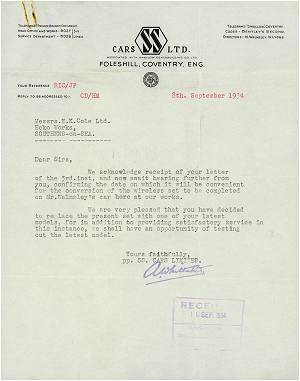 The SS Cars letter is signed by Arthur Whittaker.